Our guest blogger this week is Jamie Hill, who has over 20 years of experience in international shipping – both exporting and importing. You can read more of his thoughts on Twitter – @JamieHillUK. A wise man once told me “never presume anything in life, especially in business”. I think these words apply especially to marine insurance when shipping your cargo. Never presume you are covered, as the chances are you will not be – or at best you will have very limited cover in place – for the items that you are shipping. A lot of individuals I arrange shipping on behalf of automatically presume that marine insurance is in place for the consignments that they are shipping. Jamie Hill discusses the importance of marine insurance for exporters. You will need to speak to the freight forwarder you have employed and ask them if you are covered. Chances are that marine insurance is not included in the price that has been quoted and it will in fact be an additional charge – one which could eat into your profits. The most important thing to consider is what your insurance covers. Now you are adding marine insurance into your costs, what will the policy cover? Is the policy a full cover? Perhaps it only covers total loss? Is there an excess? If so, how much? Will there be exclusions e.g rusting, chips, dents etc? And of course, don’t forget the potential for Acts of God to occur. An Act of God is a legal term used to describe events outside of human control for which no one can be held responsible, such as sudden natural disasters. If this type of event causes a problem to your cargo, you will not be covered. 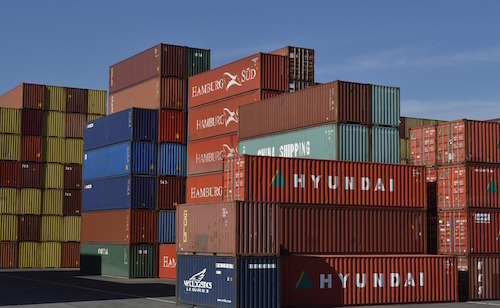 You really need to make sure that you are covered with marine insurance when you are exporting your items and then also understand your policy that is in place. You never want a situation happening where your items are lost at sea and you are also be financially cast adrift. To add insult to injury, the shipping lines can then also pursue you for contributing to the salvage costs of the vessel! Putting a marine insurance policy in place will also cover you in these scenarios. So take note of this key exporting tip – ensure you have the right insurance! Make sure you are covered; get your marine insurance in place for peace of mind and to protect your business.